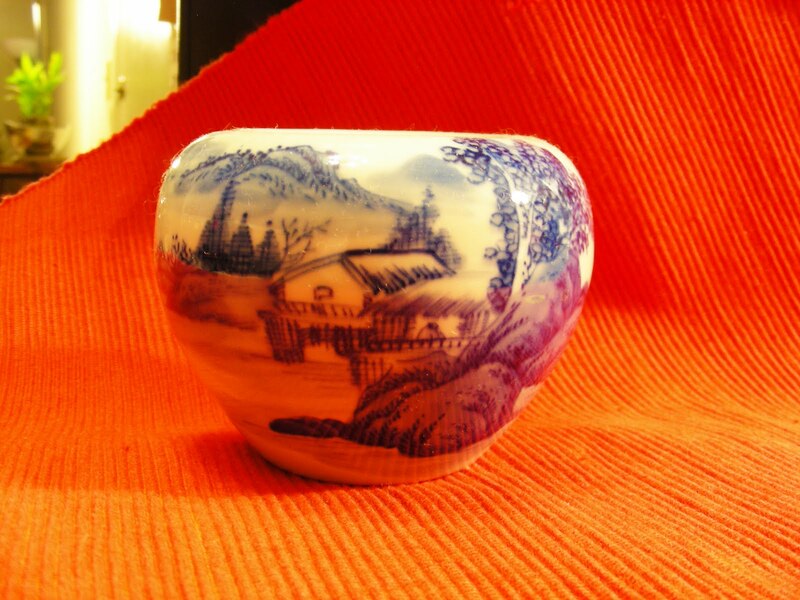 In Chinese culture, home town is where a line of family originated, not the same concept as the west which means where one is born. Dong Guan is my home town, so I made a point to visit this town that is right next to Shen Zhen. As a little child when I last visited the city, I had very little memory of it. Each time my family returned to town was to celebrate my grandmother's birthday. After dinner, more tea was to be drunk at a special tea shop. 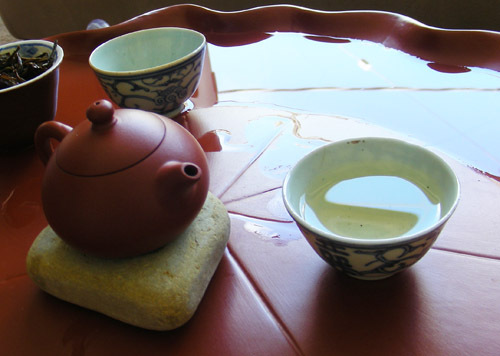 The owner is knowledgeable of not only tea, but various Chinese traditional arts. 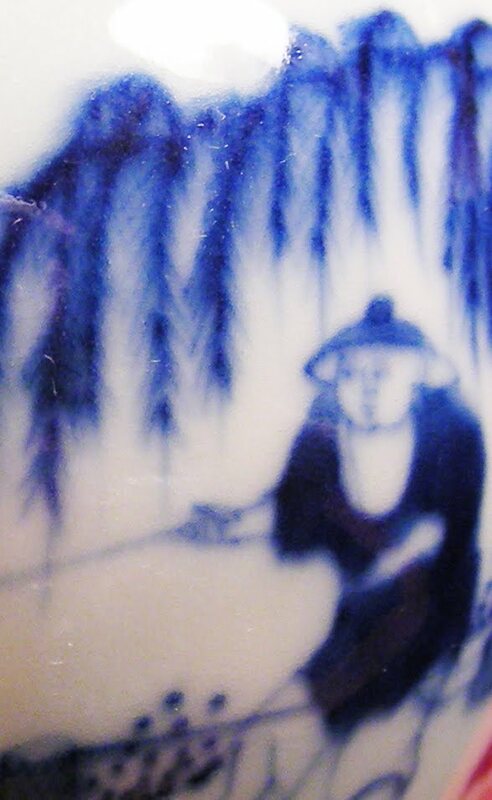 The right person to learn more about tea from! I will go see him again quietly in the future. 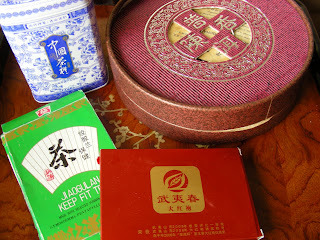 Here are some of the teas I received as gifts from here. 1999 ancient tree silver tips, very rich and sweet! 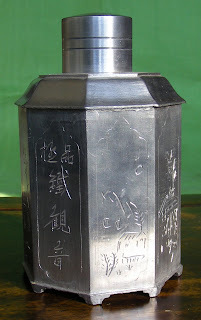 1997 Jiao Gu Lan Pu-er, only batch ever made. 25 years old Bai Mu Dan, creamy and honey sweet. 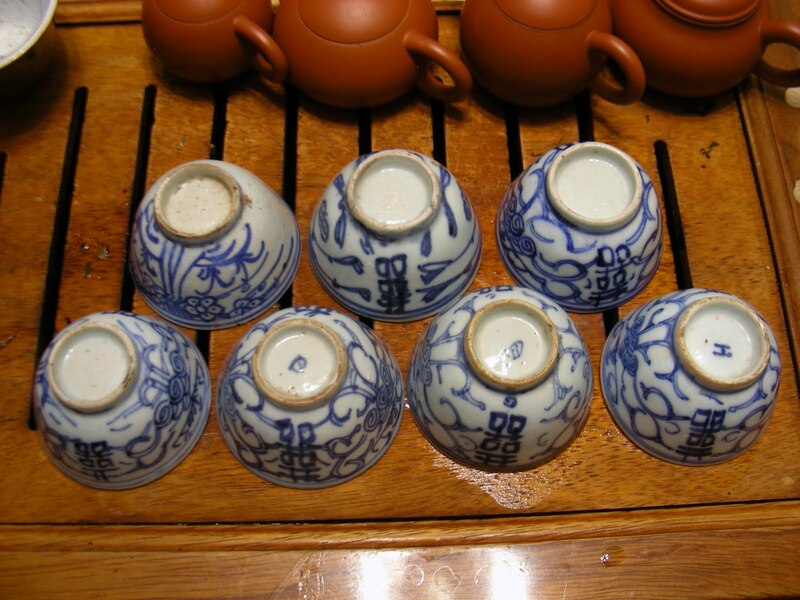 Tea culture has become mainstream again in China, tea ware play an important role in the renaissance. China wares representing all dynasties can now be found in tea shops. 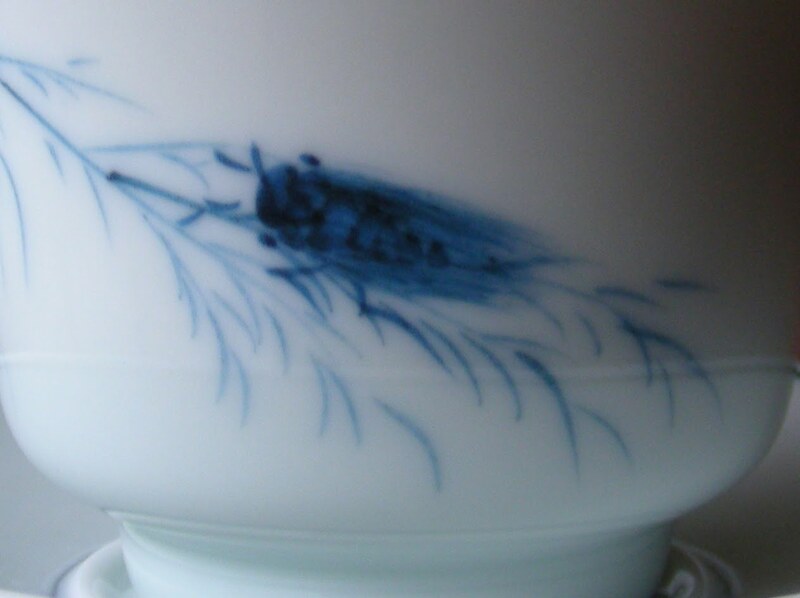 Blue and White porcelain is one of the main styles in tea ware and decoration pieces. Demand creates supply, on top of good clay, firing technique, blue color formula, painting on porcelain is the far most visible demand that separates daily ware and art collectibles. 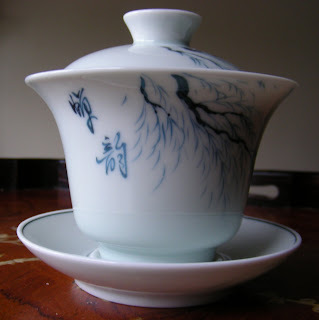 The far most expensive modern day BW tea ware is by Gui He Xiang, a tea cup can easily cost $300, USD that is! This years BW price compare to last year is another leap and bound. Inflation is the problem. None of these in pictures are Gui He Xiang, I'd rather buy antiques with that kinda investment. I like Ming Tao Fang, for one, the price is right relatively speaking. Clay is pure, glaze is even, painting technique isn't the best, but not bad for the time and effort that goes in it, especially for the price. The composition of painting is clean but not simple. They are made for tea in function, not made because of tea. Small details in the finishing improves the ease of tea brewing, simple as lifting the lid, not easy to tip, less burning, all of which tell me the maker know what it takes to make tea at ease. 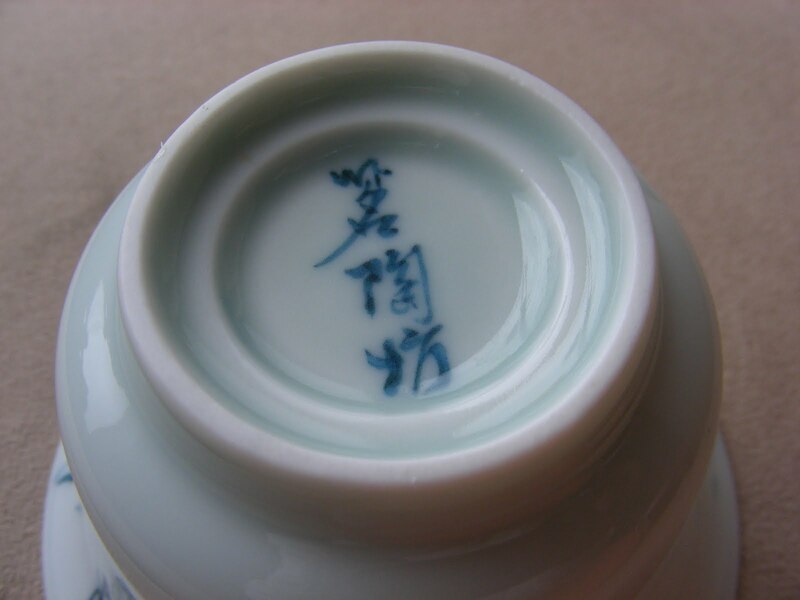 Ming Tao Fang porcelain is at the artistic level of daily teaware, not collectible that you only put away behind those glass doors of your China cabinet. I'd feel bad if I break a cup, but not heartbroken. This is how I like my teawares. Translucent white porcelain in dark, light comes thru inside of cup. I bought a bunch of porcelain tea wares from Guangzhou tea expo last year. I thought they were shipped but lost in the mail early this year. Heart broken that I was for a long time. When I discover they are still alive and wholesome, thrilled that I was. 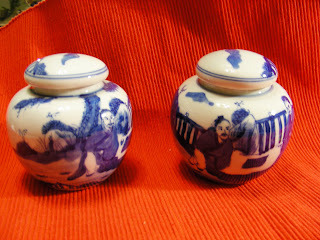 Taking them with me in my 2 large (over weight) luggage was hard work that I was willing to take on. They arrived after a year sleeping in China!!! These are made by Ming Tao Fang studio, all hand painted on Jing De Zhen white porcelain. 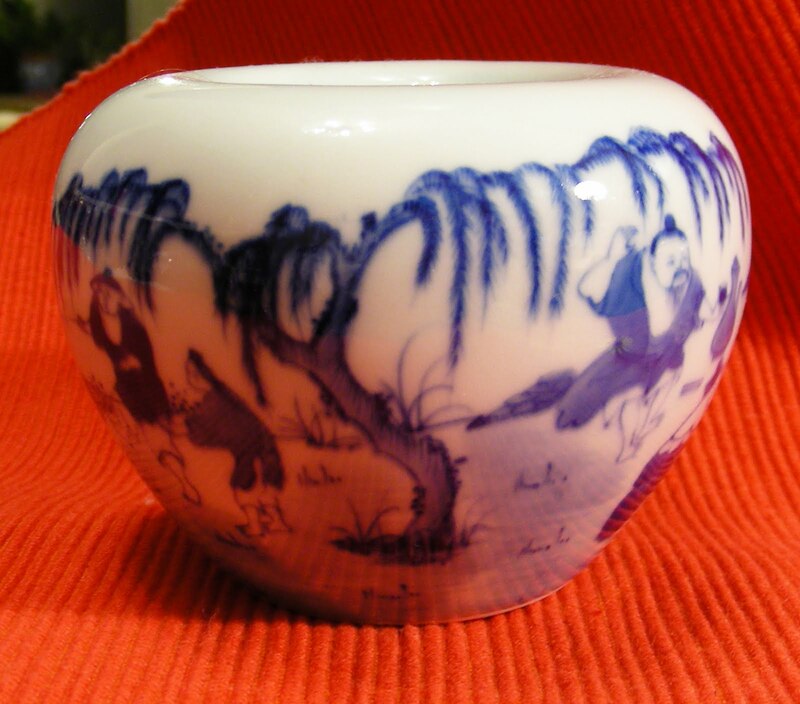 Qing Hua Ci(blue and white porcelain) has been a favorite nationally and internationally for a few centuries. 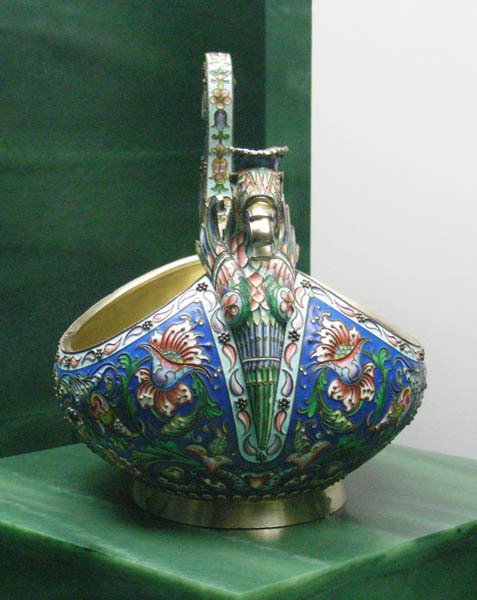 In recent years, revival of Qing Hua gather a large number of porcelain makers reinventing tea wares in the artistic level. 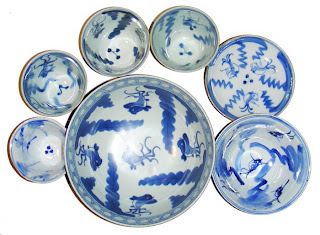 Depending on size of individual hands, length diameter of gaiwan can vary, I have small hands, so I prefer small gaiwan for gungfu method. 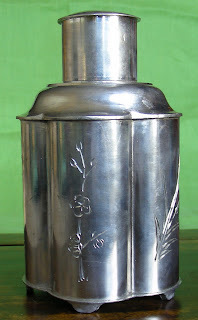 For drinking, size does not mater as much, perhaps bigger is better. 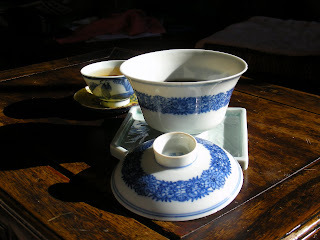 I prefer my gaiwan thin, less heat is being absorbed to the cup rather than contributing to the tea. 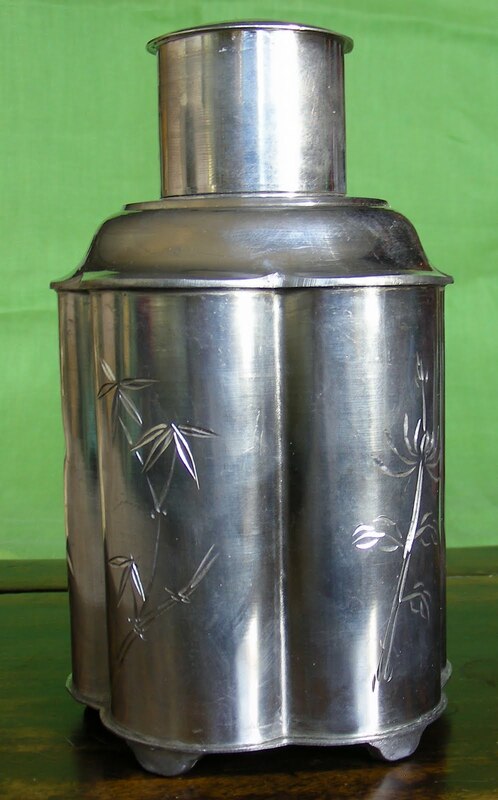 Thicker the cup hotter it feels on your hand, cooler the tea is. 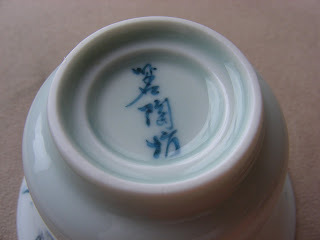 The old saying never judge a book by its cover, in the case of selecting a gaiwan, it is half way true. Function and look are both essential, with function comes first in my book. My flight landed in Hongkong and then I across the border to Shen Zhen to meet up with friends. Although I went in and out of Hongkong 4 times, but not a whole day I spent in Hongkong. 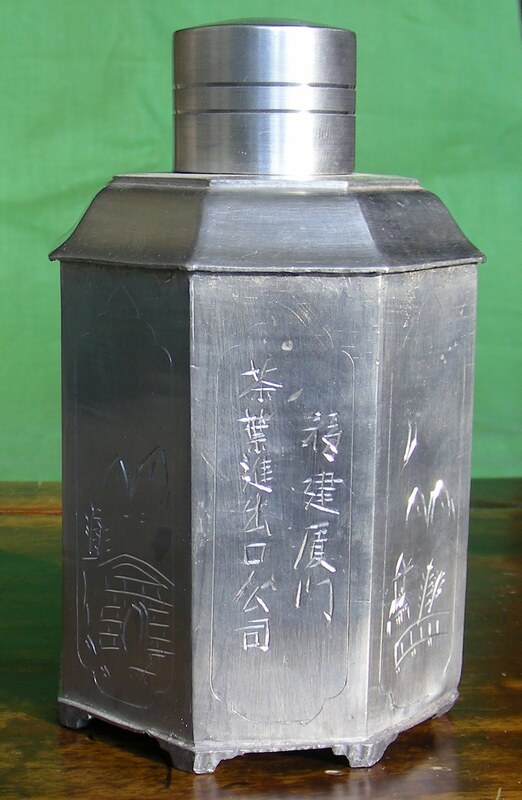 The first official stop should be Shen Zhen. We had the privilege to visit the private section of the East Lake Garden Park. The designer/builder/keeper of the garden is a famous landscape designer from Su Zhou, he was commissioned to build a new Southern Chinese style garden park in Shen Zhen before 1997. Within the park, he built a private garden as his residence. 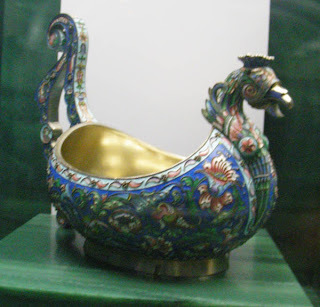 In this section, a large size lake with various pagodas, pavilions, bridges, more than 1000 pieces of hundreds years old Pen Zai (Bonzai), ducks, fishes, a hidden world within. 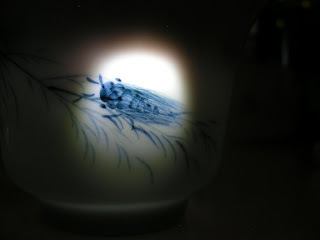 We had dinner and tea sessions at the pavilion above water as moon light shimmers beside us. Beautiful and serene! We also had the honor to visit the private art collection, paintings, furnitures, etc. A particular piece caught my eyes is a large flat cut tree trunk fossil tea table, with diameter about 3 to 4 ft long. I was flabbergasted!!! Out of respect, I didn't take any pictures of the private collection. 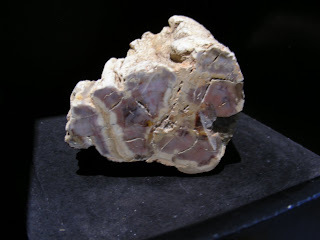 Here is a small piece of wood fossil to show you what the material looks like. 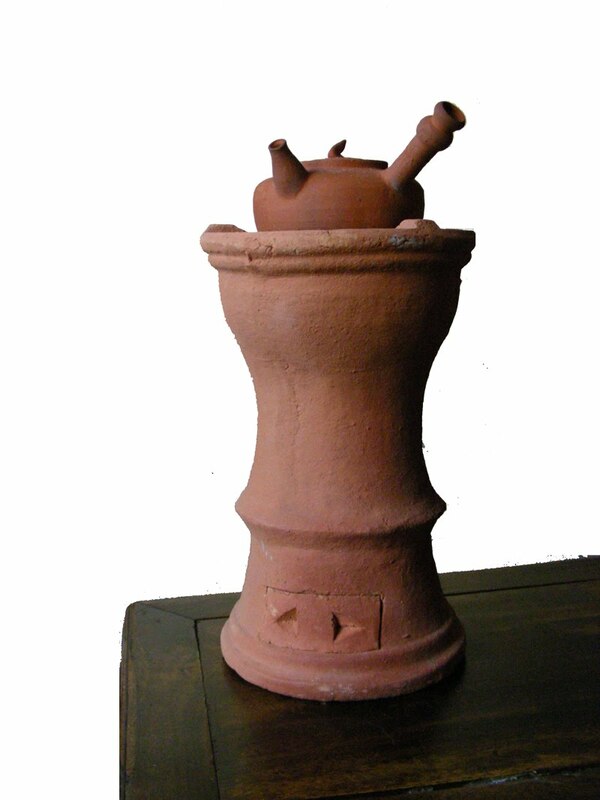 I hand carried this clay stove all the way home from China across thousands miles of ocean. I wanted a tall stove for years!!!! Due to shipping difficulty, I had not had one until now. I didn't even attempt to carry home this 5 lb heavy weight last year when my heart pounded fast as my eyes laid upon this baby. But I did it this time! And it survived!!! Of course I bought it to satisfy my own selfish desire. Otherwise why go through the trouble right?! Yeah, that thought lasted a few weeks until I realize already 3 stoves are sitting in my office, one on my desk, one under my desk, and one wrapped and tucked under a chair. Do I need that many stoves for myself? There should be a couple more in the warehouse. Sure they are all different in style, but really, do I need that many stoves? 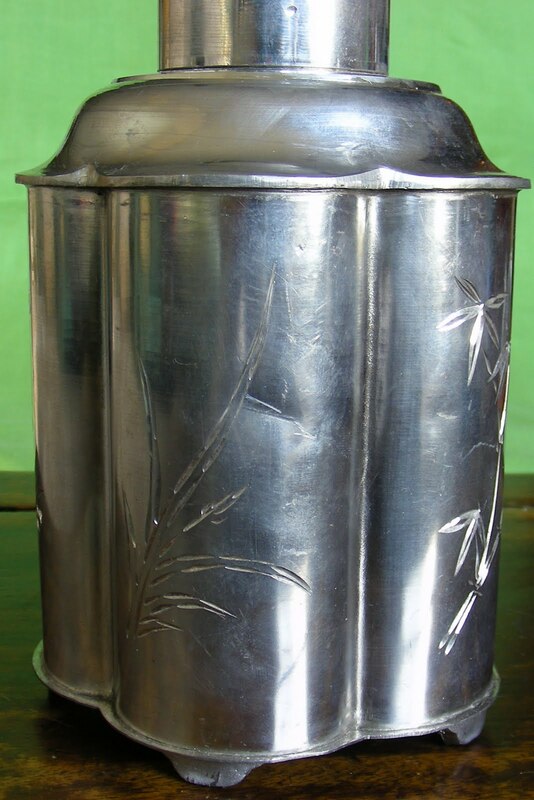 The reason for a taller chamber is to increase air flow for faster heating. 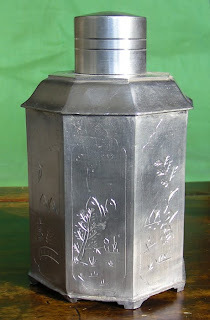 It can hold a larger kettle, even heavy enough to hold a large cast iron kettle, it can heat up a large pot of water faster than the small version I carried, hence better for large groups. Hmmmm group tasting! Huang Shan - Yellow Mountain is notorious for sun rise and teas reside here. Sun rise of Huang Shan is ranked number 1 in the world, follow by Egypt, Norway and Ali Shan of Taiwan. The reason for that is the sea of clouds where the sun arises. That means the location has what tea trees want to shrive! 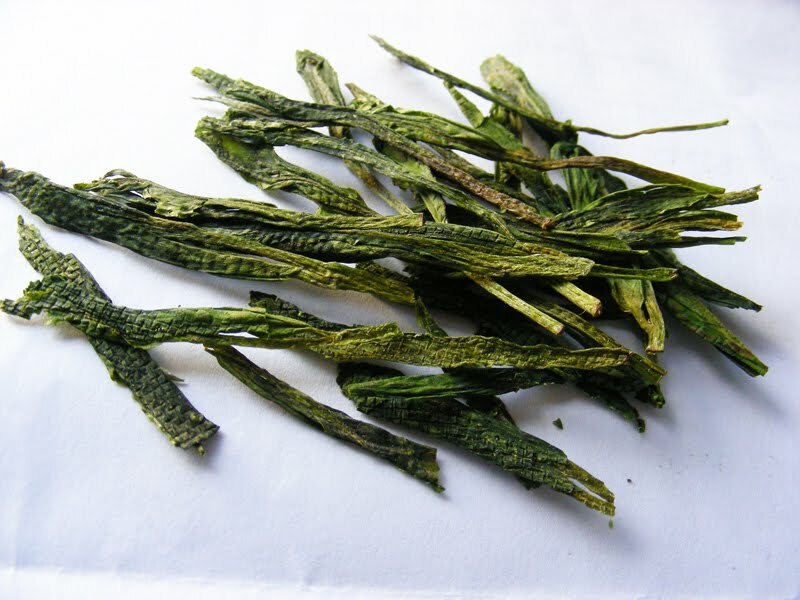 Tai Ping county is nested in Huang Shan, local soil is deep and rich before reaching the granite layer, decomposed granite allows water to sip through and provides rich minerals that nourishes plants and give tea trees its unique regional flavor. Flavor of the two are rather different, Spring harvest is rich, sweet, smooth, and very aromatic, aromatic and sweet after taste. 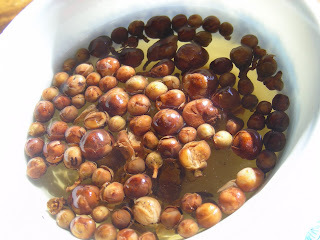 Fall is aromatic, can be bitter if over heated and over steeped, however after taste is sweet and lingering, not as smooth as the hand twisted one for 2 reasons: Fall leaves and machine pressed. Stems and partial leave tissues are broken which cause the bitterness and rough texture. After a month of exiling, I am back! I am glad to be home, there is nothing like home! Although it's exciting to travel abroad, home is where I belong! It seems that I spent more time on the road than anything else. It was great to see places I had long to be. 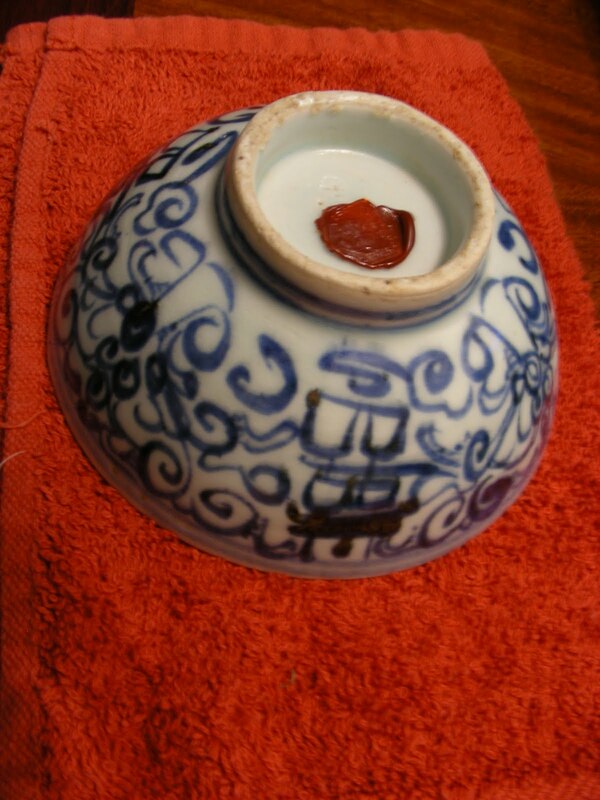 Su Zhou is my favorite city, dinner at a restaurant next to a canel, listen to Ping Tan (a regional music dual), feeling the cold breeze as we stolled along the old granite paved walk way, surrounded by century years old homes with light leaked through wood carved window panels. As though time was set back centuries. My next favorite place is San He, a small water town in An Hui Province. 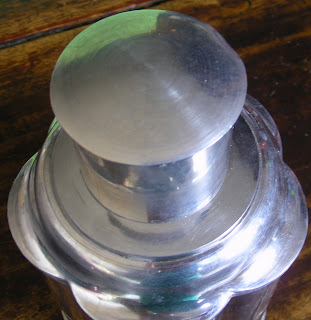 It's not so commercialized as a tourist town, although it's moving toward that way. Here is where real people live, you'll find ladies knitting on the street, dry vegetables and meat hung along the bridges, you might even find the shop runner taking a nap on a sofa while the door is wide open for business. Some how people here are more real than other tourist towns I went to. Anyways, there are too much to write when my brain can function better, after recovering from jet lagging. 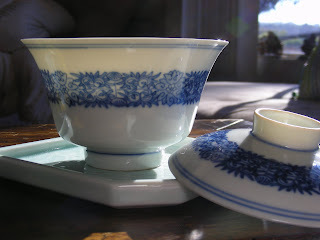 I brought back tea weres, lotsa tea wares! Will post them as soon as I have time. Business is now back to regular operation, we will ship all orders in the next day til New Year. Hurry in if you'd like your purchase arrive before xmas and New Year. It's time for Asia again! Total of 14 cities to go around in this trip, I am looking forward to visiting some of the places I have longed to be for a long time. Hangzhou, Suzhou, Zhouzhuang are cities with history dated back more than 2000 years, fabulous architectures combined with nature, favorites of generations of poets and painters. I want to be part of the picture so eagerly for at least once. Taiwan is next going from the south traveling up north then return to Hongkong and Macao. Hunan is the next destination, an other town named Phoenix is also an unique place I long to drift down the river just like a ladle of fresh water, floating by wooden houses along both sides, look up ancient bridges as I drift under the arches, perhaps I left my footprints on the bridges lives ago looking down the same water drifted under. 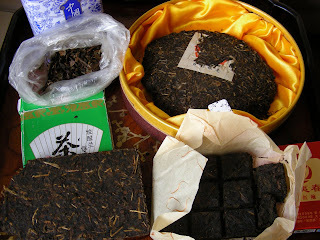 Of course I can't go to China without hunting for tea. 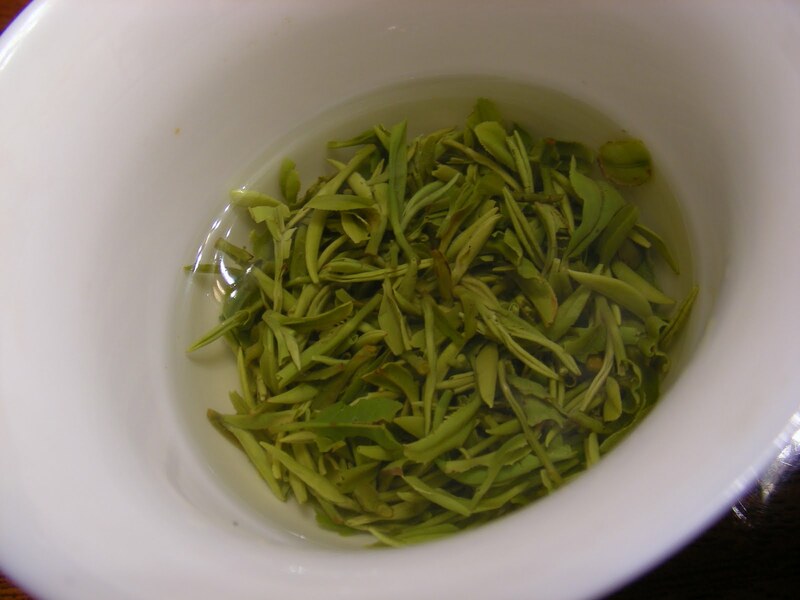 Hunan is a place to find great green tea and black(not red) tea. I don't remember when, I started collecting cups, began with various shapes, sizes, colors of new age cups. 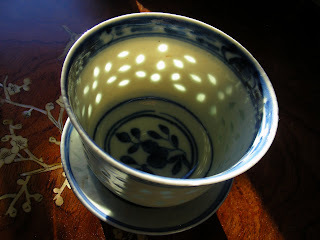 Then an obsession spread wide, collecting old cups became just as important as finding great teas in my book. 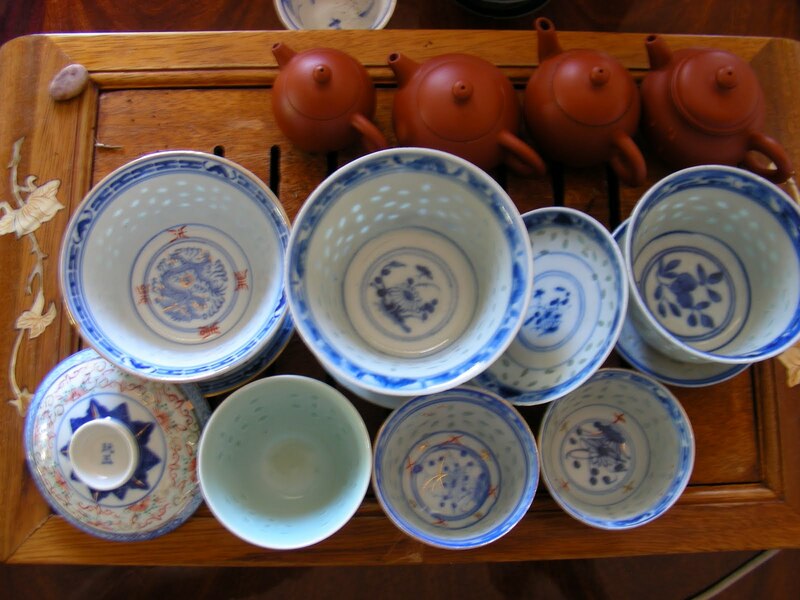 Various cups of the typical Qing batavian style, a gaiwan and soup bowls, a few more at friend's antique store in Beijing. 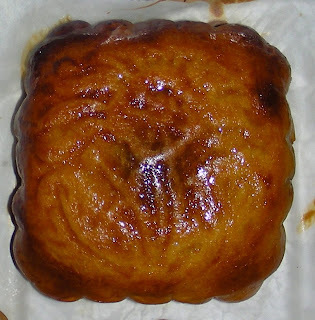 I can't wait to get them next time I go to China. Tin cans are used for tea storage, because it keeps moisture out and does not rust. 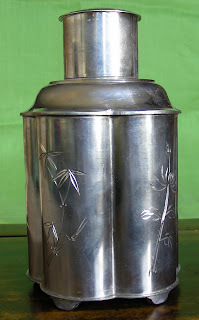 Tin does not give off metal smell, hence does not change flavor of tea during storage. How much tea do you drink in a year? 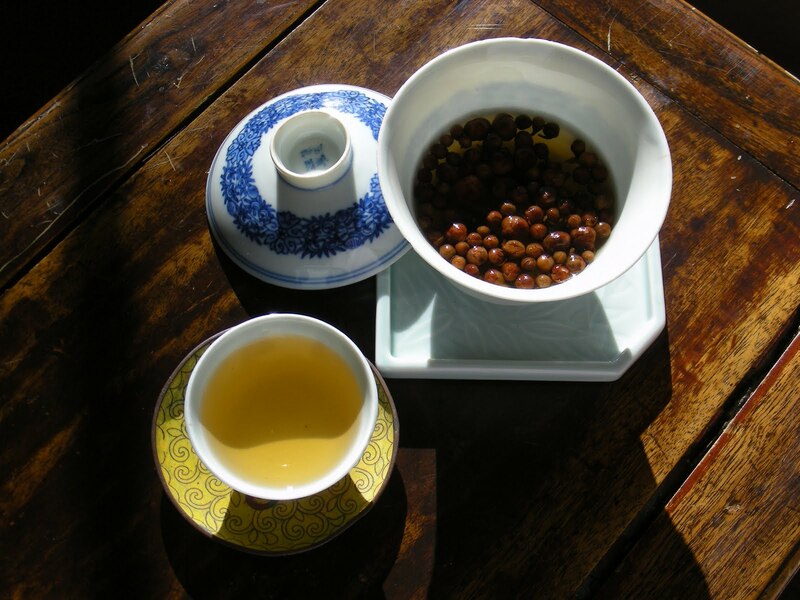 How long does 1 lb or 500 grams of tea last you? 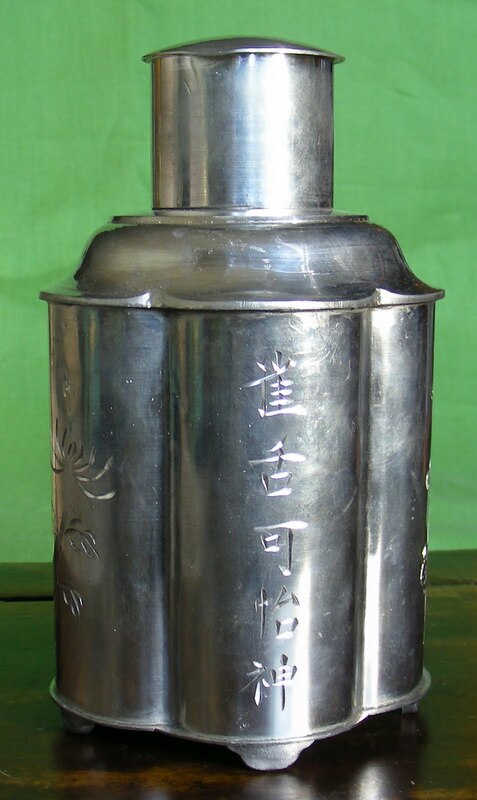 Do not include RTD bottled teas. I never really count how much tea leaves I drink in a year. So let's do some calculation. 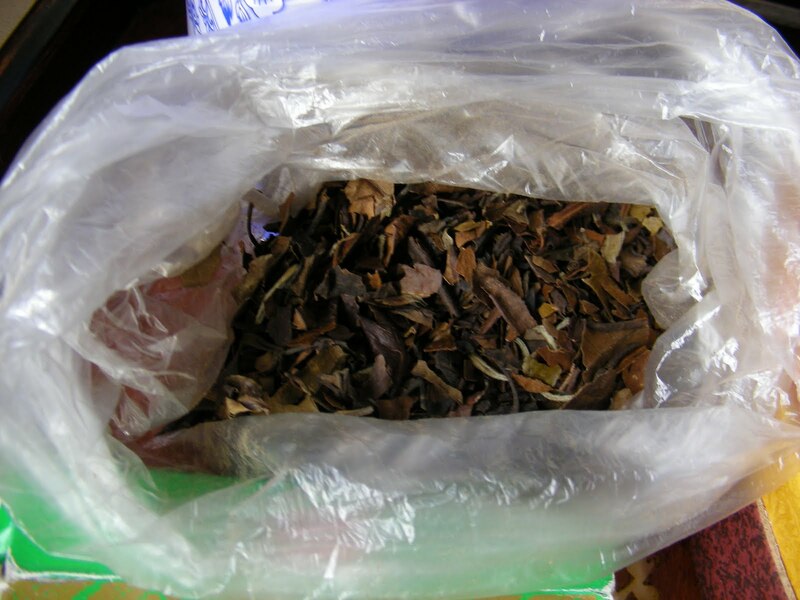 Personal use only (not including for work or friends), I drink 3 sessions of tea per day, average of 3 to 4 g per session, that's 9-12 g per day, a 500 g bag can last me 1.5 months. In a year, I use up 8 to 9 lbs of tea. Right on the average of Chao Zhou tea consumption per capita. 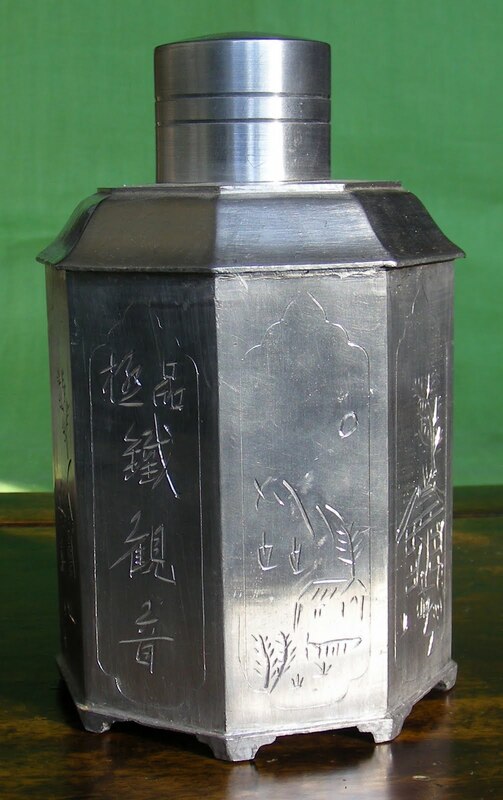 On the higher end of the scale, a lb of TGY or High mountain oolong can be consumed quicker due to the density of the leaves, averaging 20 days for a pound by normal daily drinking. This number is shared by a bunch of TGY tea heads, mainly Chinese. 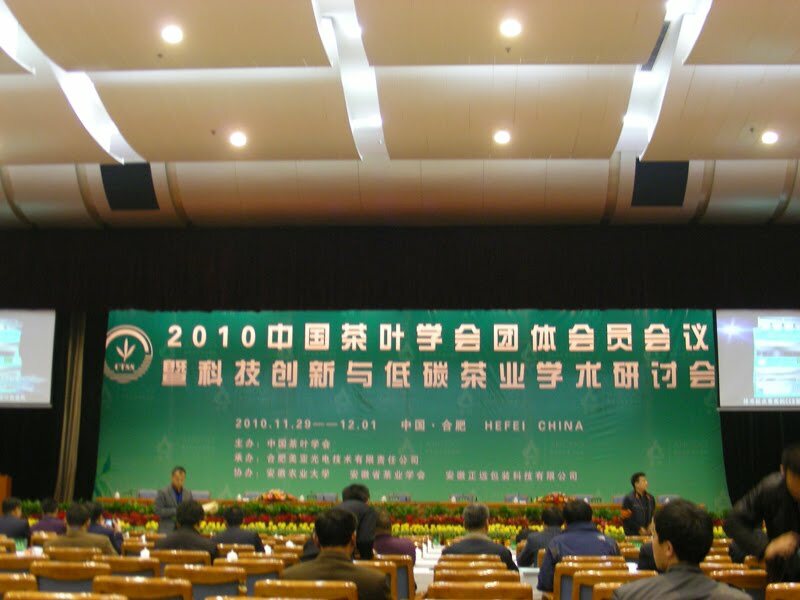 To anticipate in the first open tea championship by the International Tea Expo, Tea Habitat hand selected a few teas to compete in the Pan Fried Green Tea category a couple of months ago. 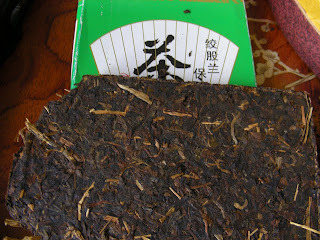 Oolong competition is held in February next year. I am greatly disappointed for a number of reasons which I can't bring up openly. The result is the cause of disappointment, but not the origin. Jade tip is one of the more than 250 teas under the same category which entered the championship. 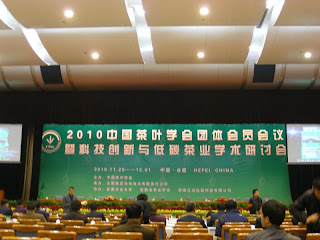 Highest score is 89 out of 100, second place is 88, third is 87, Tea Habitat's Jade Tip got a 84 rating. 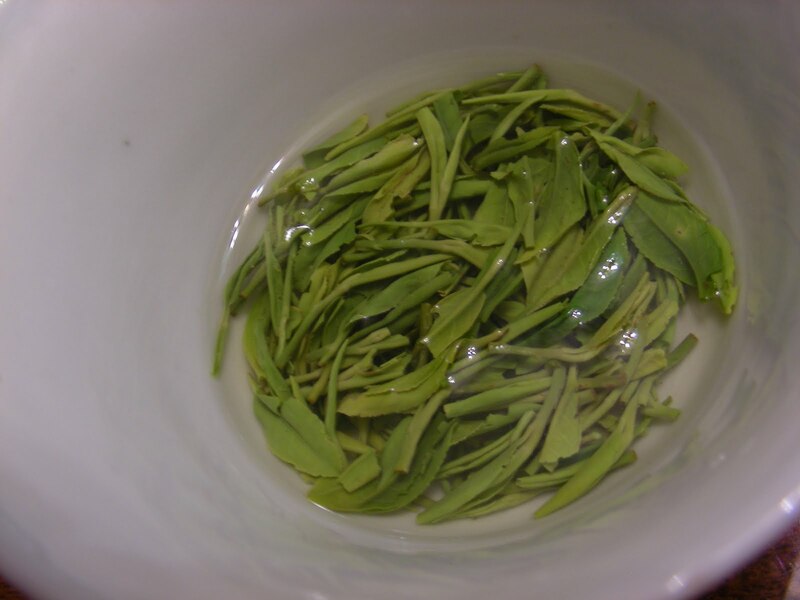 Another green tea we entered is Three Cups Fragrance which got a 83 rating. 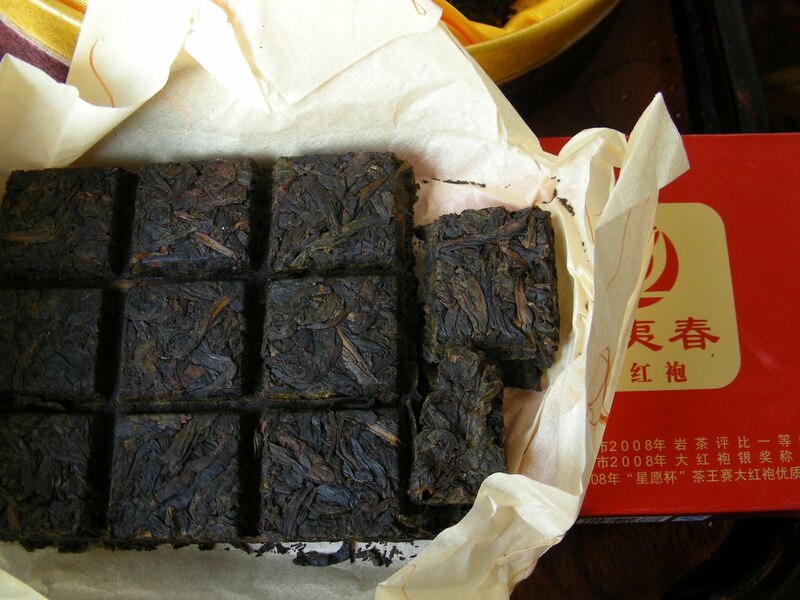 Grown in mountains of 700 meters above sea level in Zhe Jiang Province. Spring tips of 2010 harvest, some of the best and very limited production of green tea. 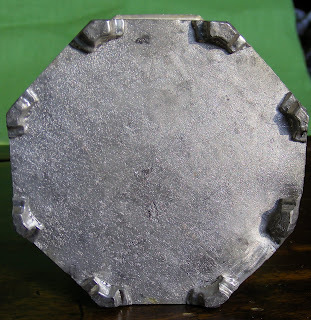 Absolutely excellent quality! 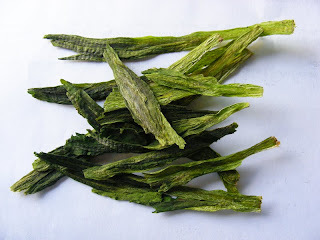 $63/125 g, only 375g available, Price is sold at cost. 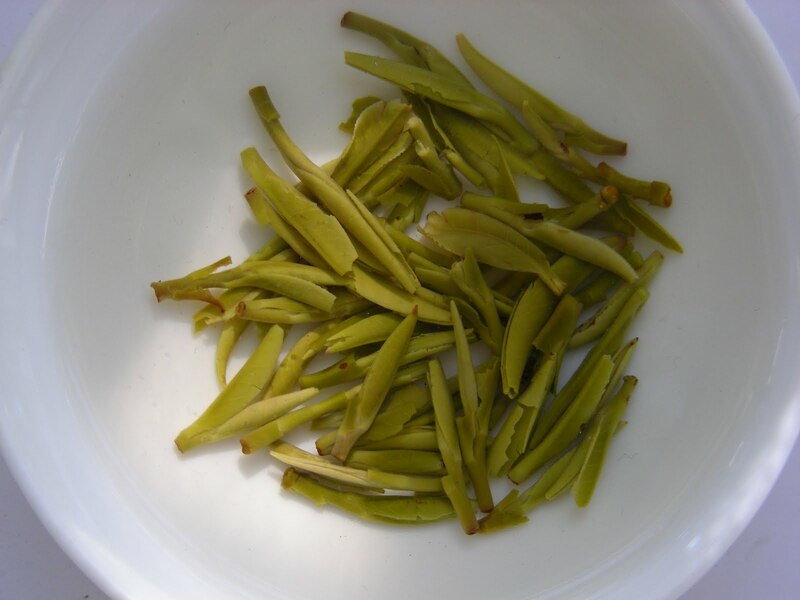 Also grown in the same altitude of 700 meters above sea level in Zhe Jiang Province. 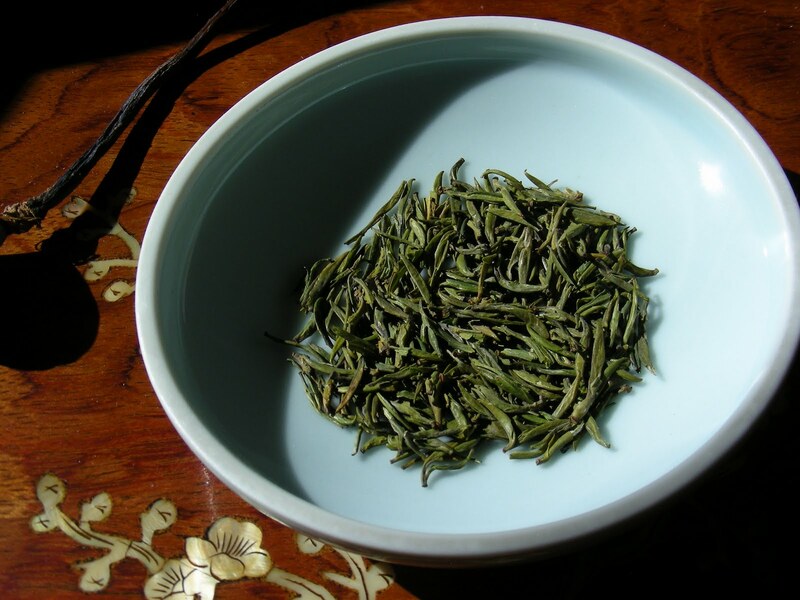 Three Cups Fragrance is a varietal only local to this region--Tai Shun county. I personally slightly bias toward this tea compared to Jade Tip in terms of flavor, thickness and intensity of texture, although the look is less uniform than Jade Tip. $54/125 g, 375 g available, Price is sold at cost. 2nd place winner by another company, will include a sample with purchase of above teas. In less than 30 minutes, the annual Mid Autumn or Moon Festival holiday will arrive. Wish everyone a wonderful holiday and a happy family gathering! I will be in SF looking at the Autumn moon by the bay in the next few days. All orders will be shipped on Monday the 27th. Thank you for your understanding and patience. Fall is here. Season's changed so is my mood. Sitting in the sun on a Saturday afternoon sipping a cup of tea is leisure. Fall is harvest season, human body is also in harvesting mode, although we do not hibernate, but our body collect nutrients and prepare for winter. 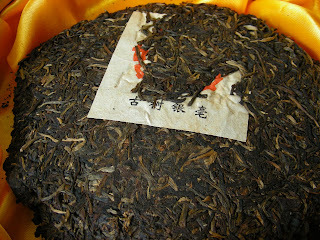 Tea to drink during this time has moved toward matured selections, such as darker oolong, black, aged or cooked pu-erh. Taoism emphasize on living according to nature's changes. It's the season that tea trees begin to bud. 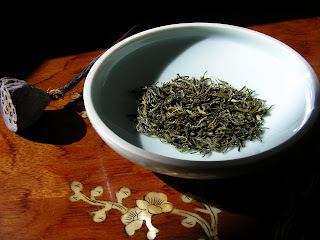 So my take for this afternoon is 2003 Liu Bao flower buds. Sweet and soothing, just the right amount of nurture.